This ULN2003A Darlington Transistor Array is known for its high-current capacity that can be used in driver circuits for relay, lamps, and stepper motors. This ULN2003A Darlington Transistor Array is known for its high-current capacity that can be used in driver circuits for relay, lamps, and stepper motors. 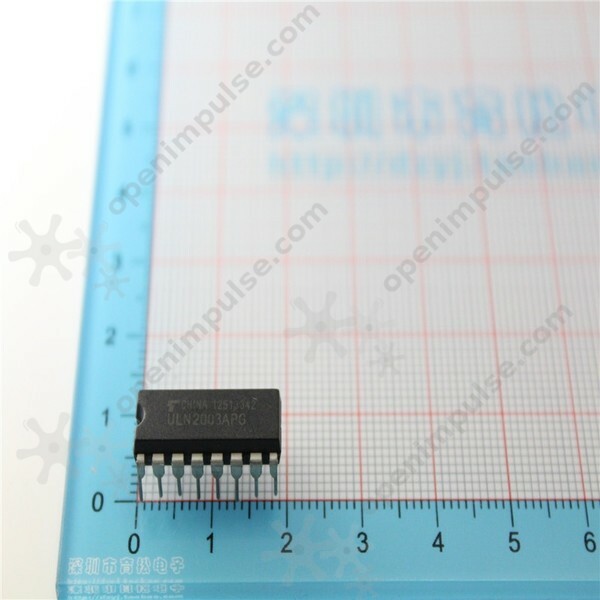 This chip is very suitable for your project and other general purpose applications.